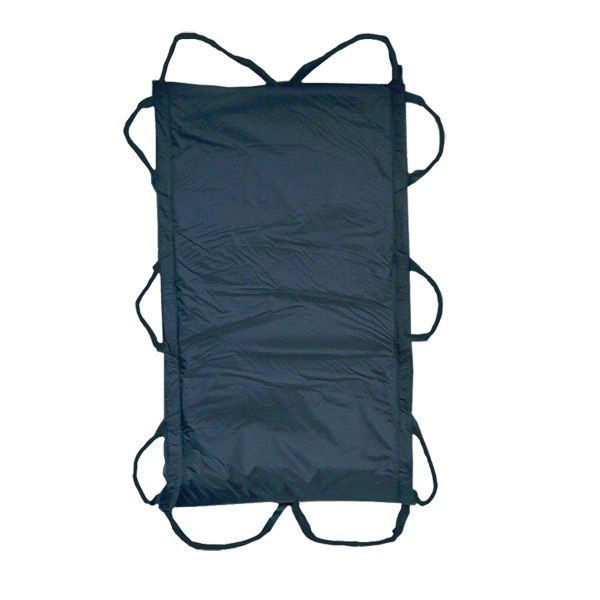 This gurney comes with a padded plastic insert; this plastic insert gives the gurney some rigidity which aides in sliding the gurney into position under the patient while having the gurney in a flat position. Size: Large. Gurney Dimensions: Length 60 x Width 34 Thickness: 1/4 Weight: 5 lbs. Handles: 10 Use limit: 600 lbs.